Great GreiiGreat summer hit and Holiday gift idea! With the Victorio Snow Cone Gift Pack you get everything you need to make great snow cones all in one box. Includes Victorio Electric Ice Shaver, 25-Pack of 6-oz Snow Cone Cups & Spoon Straws, 3 flavors of Snow Cone Syrup (Cherry, Blue Raspberry, Piña Colada). The Victorio Electric Ice Shaver takes regular ice cubes and produces a fluffy shaved ice style snow. 25-Pack of 6 oz Snow Cone Cups and Spoon Straws are fun and make clean up super easy. Cherry, Blue Raspberry and Piña Colada syrup flavors will make any snow cone party a hit. Victorio Electric Snow Cone Maker. This snow cone maker goes beyond the traditional crushed ice. This snow cone maker creates light fluffy snow. Enjoy shaved ice for Snow Cones, Fruit Slushes, Party Drinks, Fruit Trays or anywhere you use crushed or chipped ice. Kids can watch all the action through the clear plastic top. Attractive Design. Victorio 3-Pack Snow Cone Syrups. 3 colorful and great tasting variety flavored snow cone syrups. See current flavor offerings by clicking on the link above. Perfect for snow cones, shaved ice, slushes, ice pops, yogurt and more. 16.9 fl. oz. per bottle. Approximately 16 servings per bottle. Great party pack for all your parties! We now offer 3 different 3 multi flavored syrup packs. Motla Sugar Free Snow Cone Syrups by the Quarts. Motla Snow Cone Syrups manufactured by Paragon International are very high quality snow cone syrups. They currently manufacture 6 very delicious and quality sugar free snow cone flavors in quart bottles. These Motla Sugar Free Quarts are Ready-to-Use. No mixing necessary. Flip top bottles for easy pouring. Special splenda mix for awesome low-calorie taste. Try some out today! Sugar Free Snow Cone Syrups. Great delicious product for those who want to watch their sugar intake! Sold by the quart. The Sugar Free Snow Cone Syrups are Ready To Use(RTU). Simply pour 1 ounce of syrup over 6 ounces of shaved ice. Nozzles now included. For all you lovers of sour candy, drinks, or anything else sour, we now have sour snow cone syrups by the quarts and in six exotic flavors! Now your can pucker up while enjoying a cool and refreshing snow cone on a hot summer day. Grab one of each of the six flavors or more than one of your favorite flavors...Summer is here! The sour snow cone syrups are ready to use (RTU)! Click on the link above the see all the mouth puckering flavors that are available. RTU(Ready to Use) Snow Cone Syrups by the Quart by Frostee. 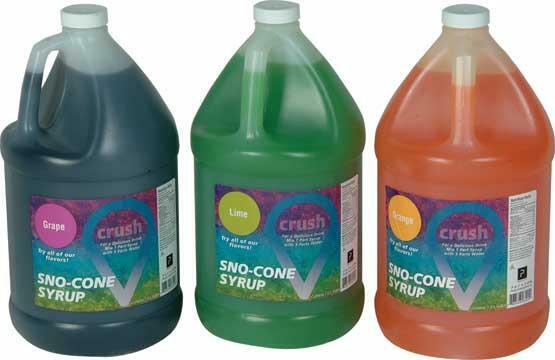 Now Standard Concession Supply offer a wider variety of ready to use snow cone syrups by the quart. Mix and match your flavors. Packaged fresh by the Great Western Company. Convenient size quart bottles makes it easier to serve snow cones from any location and easier for transporting. Great for home parties, rental stores, and inflatable owners. Flip top nozzles now included. Snow Cone Syrup by the Gallon. Great way to serve the larger crowds. Each gallon makes about 100 6 oz snow cones. For best dispensing, you will want to get the one ounce syrups pumps listed below for each flavor you have. Comes in a variety of mouth-watering and refreshing flavors. Grab some gallons today to cool off the crowds and heat up your sales and profits. New Syrup: Sour Cherry and Pineapple! We do not recommend our Canadian friends ordering these syrups by the gallon as these gallons are quite heavy and the shipping is disproportionate to the cost of the syrups. We do recommend the Motla quart concentrates listed below. These Gallon Syrups are Ready To Use. Snow Cone Syrup Kit. New at Standard Concession Supply. Great snow cone starter kit for home parties, small business functions, and new snow cone machine purchase. New at Standard Concession Supply...Clear quart pour bottles for dispensing your favorite snow cone syrups or shaved ice syrups. If the plastic snow cone pumps are not your thing, then you want to grab a set of these bottles. Less mess and waste than snow cone pumps. These clear plastic long neck quart bottles provide an attractive and colorful way to display shaved ice and snow cone syrup flavors. Packed 12 in a box. And 12 clear plastic pour spouts are included. Plastic pour-out spouts help control direction, and flow of syrup on each shaved ice serving. Dust covers are not included. Looking for an economical way to make your own snow cone flavors? Our new premium snow cone concentrates are the answer. Now you can save money and mix your own syrups from our different Motla flavored concentrates. And we have a huge variety of flavors. From the more exotic flavors of tigers blood, sour grape, cotton candy, and pink champagne to the standard flavors like blue raspberry, cherry, orange, etc. Each 16 oz.. concentrate bottles makes 4 gallons of RTU syrup! Just add sugar and water. Full mixing instructions on each bottle. Great savings in both money and shipping costs. And these syrups have the finest taste around for snow cones and shaved ice. Formulated with natural ingredients and pure cane sugar. RTU Premium Motla Snow Syrup by the Quart. Each quart of ready to use shaved ice / snow cone syrup is made with the finest ingredients in order to provide you the truest most mouth-watering flavors. And a great way to cool off this summer! No mixing, no mess. This syrup comes ready to use! Just open the bottle to dispense delicious syrup. Great for home birthday parties, inflatable rentals with snow cone maker, party rental stores, indoor arenas, church functions, soccer games, little league baseball, and more. Everyone will love these high quality syrups. We carry a large variety of mouth watering flavors. Click on the above link to see our full selection menu. Medium 8 oz. Snow Cone Drip Trays packed 600 count. Come in a variety of colors. Nifty way to showcase your snow cones or Hawaiian Shaved Ice products. The pedal design allows the melted ice to flow back into the cup. The no messy way to hold snow cones. 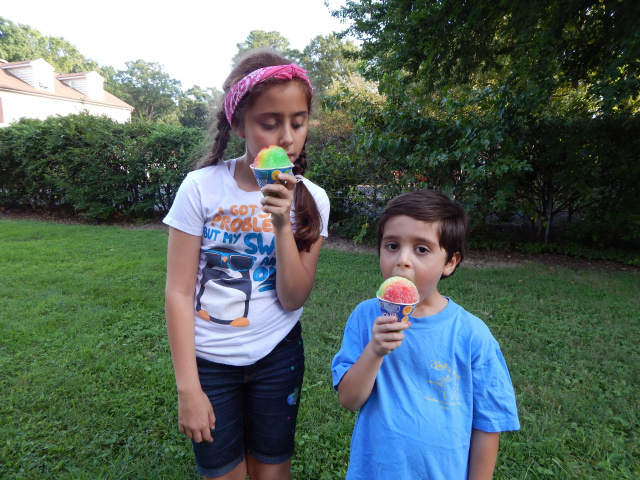 If you are a snow cone vendor, a great item to merchandise your snow cones ..... the results are higher sales. Can also be used for Nacho Sundaes. Assorted with new Neon Colors. New for 2018....Palm Tree Snow Cone Cups. These new 8 oz snow cone cups feature a cool translucent palm tree look. Add the wow factor to your snow cone business for 2018! Packed 600 cups per case. Large 12 oz. Flower Drip Trays packed 400 count. Come in a variety of colors. The no messy way to hold snow cones. If you are a snow cone vendor, a great item to merchandise your snow cones ..... the results are higher sales. Snow Cone and Shaved Ice Spoon Straws. Whether you are serving snow cones or shaved ices either in a cone cup or in styrofoam cup, spoons straws are great utensils to include with each shaved ice or snow cone. Our spoon straws are colorful and attractive. Packaged in a box of 400. Each pump dispenses one ounce of snow cone syrup per pump. Heavy duty plastic pump screws right into plastic gallon jug for easy dispensing. Each gallon of syrup holds 128 ounces of snow cone syrup. So with these snow cone pumps, you shoud be able to dispense enough syrup to make at least one hundred flavored 6 oz snow cone cups per gallon. Box of 1000 6 oz. Snow Cone Cups. These Heavy duty and beautifully designed snow cone cups are a must when serving snow cones. These snow cups have a special coating to prevent syrups from leaking out from the bottom. Kids and adult will both love the cups! Design will increase your snow cone sales! Plastic Snow Cone Ladle. For forming snow cones, this the best ladle you can find anywhere. The handle is shaped at the correct angle for quickly forming and placing a snow cone ball into a snow cone cup. It is built of virtually indestructible nylon. Stainless Steel Sno-Cone Cup Holder. A must have when serving snow cones to large groups. Holds up to eight snow cone cups filled with ice and ready to be topped off with any delicious snow cone syrup flavor! Be ready for peak times when long lines can form. Enables you to prepare several snow cones at one time! Brighten up your snow cone stand or concession area with our Hot Neon Snow Cone Sign. Will draw snow cone lovers from quite a distance! Click on the above link for more details and information. For a larger selection of Snow Cone Machines, head on over to our Commercial Snow Cone Machines page.